The All Faiths Cemetery was founded in 1850 and incorporated in March of 1852 when the entrepreneur Rev. Dr. F. W. Geissenhainer took advantage of the Rural Cemetery Act of 1847-48. 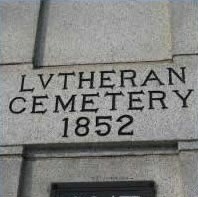 The picturesque cemetery then known as the Lutheran Cemetery, was paid for mostly in part by Rev. Geissenhainer. It was his idea to establish a place of sepulture where graves would be sold at such low prices as to make them obtainable by people of limited means and of all faiths, a tradition that still holds true to today’s standards. Thus, the establishment of a Non-Sectarian burial ground, formed by the combining of several small farms and the eventual takeover of St. Matthews Church and churchyard in the area known as Middle Village New York. Here it would evolve, transform and serve. The Geissenhainer family was a well-known family who established themselves in Northeastern Pennsylvania, originally from Prussia. It was Dr. Geissenhainer’s father who would forever be immortalized in the history of America. As a clergyman, he developed and received a patent in 1833 for a Furnace that could burn Anthracite to so hot a temperature that it could Smelt Iron. This invention, which he is credited with, would help bring America into the Industrial Age. The advent of High Rise Skyscrapers of the 20’s and 30’s and the Modern Architectural Movement of the 1950’s as well as today’s architecture are all a resultant in part of his invention. His son F.W. Geissenhainer, Treasurer, would manage the Cemetery, envisioned and created by the Rev. Dr. F.W. Geissenhainer as a non-profit, non-sectarian, membership corporation as Chartered by the State of New York under Legislative Ruling authorizing the incorporation of a Rural Cemetery Association. 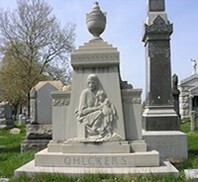 It is noted in the Queens County Historical Society Records that the Cemetery in the year 1880 was so successfully managed that its annual interments outnumbered those in any other Non-Sectarian Cemetery in the United States. And again in 1995, the cemetery was cited by and awarded a state plaque by the division of cemeteries, as being exceptionally well operated and maintained. This coveted award was bestowed upon the cemetery during the presidency of Daniel C. Austin, its current president. Demographical and Cultural changes within the community and New York City proper would eventually lead to a name change that would best befit the Cemetery and delve upon the very foundation of its original creation. In 1990, under the direction of a new President, Daniel C. Austin, the name would be changed to the “All Faiths Cemetery” in order to show accommodation to ALL religious and non-religious patrons. A more user-friendly approach that would help propel the Cemetery’s existence into the next century. Changes in management at All Faiths Cemetery have brought about many improvements and upgrades in recent years, including the construction of two exquisite Community Mausoleums, ongoing Historic Preservation and frequent Infrastructure Improvements. The cemetery in 1999 added an Architectural Consultant and Historic Preservationist to help in the establishment of a Beautification and Restoration Program registered with the State of New York under section 501C3 of the Not for Profit Law and created its first indoor mausoleum. The new position along with the Cemeteries Board of Directors led to creation of the Eternal Light Community Mausoleum, which was designed to maintain the historic character of the cemetery while keeping the needs of the people in mind. The cemetery has also restored many pieces of irreplaceable historic memorial architecture along with several private family mausoleums. Entering the 21st Century is a challenge for any business or corporation, but bringing a 157-year-old historic cemetery into this new era was an even bigger task. With the development of a creative land planning and usage schematic, construction of a new 3000 crypt Light of Hope community Mausoleum, a more pro-active approach to restoration and historic preservation and a genuine revival of the Old World European cemetery, we have aggressively yet gracefully entered this next phase. With the implementation of these programs, plans and ideas, the All Faiths Cemetery will be an Active, Community Based and Sacred Burial Ground well into the next Millennia.